Write Your Book in a Flash: The Paint-by-Numbers System to Write the Book of Your Dreams—FAST! Do You Want to Know the Secret to Writing a Non-Fiction Business Book Without Wasting Time or Money? Write Your Book in a Flash shows business executives, entrepreneurs, and thought leaders how to get focused fast, so you can write your book without tearing your hair out. Most people dream of writing a book, but they get stopped in their tracks because of a fatal flaw. Without a clear system for writing a book, nothing gets finished. You’re about to learn a simple and proven system for writing a book that matters. Even if you hated writing in the past, you’ll finally feel good about writing your book. Most importantly, you’ll have all the tools you need to get the job done! This is the perfect book to read if you are a thought leader, entrepreneur or business executive who wants to write a business book to build your personal brand, open doors to new opportunities, and leave a legacy of wisdom to future generations. Business leaders who write books get more clients at higher fees, have more impact, develop more credibility, and have more influence where it matters most: in front of clients, customers, and prospects. Unlike other books on writing, Write Your Book in a Flash doesn’t debate the pros and cons of self-publishing vs. traditional publishing. 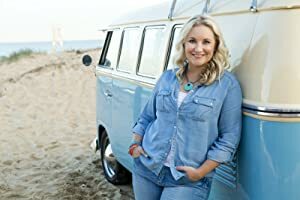 Instead, it shows how to use your own work style and personal strengths, preferences, and personality, so you can write the book you were meant to share with the world. 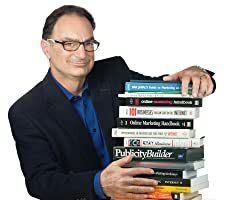 Dan Janal has written more than a dozen books that help businesses build their brands, including seven books for publishing giant Wiley. He is an award-winning, daily newspaper reporter and business newspaper editor. As a publicity and marketing expert, he has helped more than ten thousand authors and experts build their platforms over the past sixteen years. He holds bachelor’s and master’s degrees in journalism from Northwestern University’s famed Medill School of Journalism. Dan’s journalism awards include the William Randolph Hearst Foundation’s Award for Excellence in News Writing, the Florida National Education Association’s Newsmaker Award for distinguished news coverage of public education in Florida, and the Greater Orlando Press Club’s Investigative Reporting award. Dan Janal helps leaders brand their businesses with books and publicity. He is one of the Founding Fathers of Internet Marketing and Publicity. He wrote one of the first books about marketing on the Internet back in 1994. A sought-after speaker, he has taught at Berkeley and Stanford, as well as spoken at conferences through the U.S., Canada, Mexico, Brazil, China and Hungary. In 2001, he founded PR LEADS, one of the most cost-effective publicity leads services, which has been copied by many other companies. He provides publicity and marketing coaching and consulting services for Independent Professionals and Small Businesses. He also writes press releases designed to rank high to rank high on search engines. For thought leaders, he offers these services: book coaching, developmental editing and ghost writing. They say that writing a book is great for your career, especially if you are an entrepreneur. Writing a book demonstrates expertise and let’s potential clients get a feel for who you are. But actually writing the book can waylay the best intentions and the most focused business minds. Dan Janal’s book, Write Your Book in a Flash, helps you cut through the distractions, and get the book done. Mr. Janal’s tone is conversational and down to earth, as he walks the reader through the step by step process of setting up a manuscript and getting down to work to finish the book. Each chapter is cleanly laid out and easy to refer back to. Exercises abound, and a link to download the worksheets is tagged after each step. I’ve printed mine out, and have them ready to copy for each future project. The truly great thing about this book is that the process can be applied to a variety of platforms, and not just the standard 200 page business book. It can also be used for planning blogs and other informational platform products. And if writing the book yourself is too daunting, Mr. Janal has included information on working with coaches and ghostwriters. This is a fantastic read/guide if publishing nonfiction is the next step for your business or career. Grab this book, print the worksheets, and get going! This book is available in Kindle and paperback here. A lot of people drag their feet through life, wondering when the fun part will start. They dread waking up every morning, because they are so miserable in their everyday lives. Nothing is fulfilling. Not very much about their daily routine excites them. And years down the line, they’ll be doing the same exact thing, because they believe it can’t get any better. But you want more than that. You want passion and excitement. You want to look forward to your day, and know that your work has meaning, that you’re expressing your creativity, and that you’re manifesting all that you desire. You want to feel good about yourself and what you want, and you want to make things happen that seem impossible, but would feel so damn good. You want to live the Orgasmic Way. The Orgasmic Way is about achieving pleasure and satisfaction in your everyday life. You are not here to suffer and be miserable. You are here to shine, to feel joy and excitement, and to experience all the wonderful things that make you feel good in this life. Banish your broken beliefs and create new empowering ones. Embrace your Shadow and find your Light. Get to the heart of what you want and how you want to feel. Bring your point of focus to the things that you truly want in life. The Orgasmic Way is a guide filled with all kinds of observations, inspirations and instigations to help you channel the power of your Root, Sacral and Solar Plexus chakras in order to manifest the life that you want to live. Lately, I’ve been diving really deep, and I mean really deep, into the laws of Attraction and Manifestation; and recently I was invited to an online class about using the lower chakras and sexual energy for manifestation. (If you are utterly lost at this point, I get it – I teach and mentor on these topics over on my other website.) That class piqued my curiosity, and sent me racing to Amazon to see what books I could find on the topic. This was the first of the books I looked at that I actually bought and read. It’s a diminutive 132 pages, and isn’t well edited (missing punctuation and words abound, and the few graphics seem to be missing from the Kindle edition), but the information is good. If you are a student of the Law of Attraction and the Law of Manifestation, this is a must-read, especially if you are stuck. The in-depth work that the author leads the reader through near the end are of significant benefit toward finding your manifestation blocks. According to Zen Buddhism, life is full of suffering, which is brought about by our attachment to things and people. We all have those moments when we feel we are just about to give up in life (we are depressed), feel stressed by our past, and are anxious about our future. This is just normal to everyone around the world. But while some of us can handle the stress, anxiety and depression that comes with the challenges that life throws at us, there are those instances when we feel we cannot just handle it. During such times, we become angry with ourselves, situations and the people around us. We lose hope in our future and no matter how much we try to fake a smile, it just doesn’t work. Every so often, I go on book buying binges (read – I love finding free Kindle books on Amazon! ), and I bought this particular little book several months ago, and sat down with it recently. The author sets out valid arguments about meditation and its benefits in concise language that is easy to understand. He lays out a solid case in favor of why meditation is so good for you, and briefly talks about different ways to meditate. However, where I got a little hung up (I’ve been meditation for years, but I don’t profess to know it all, by any means), is his suggested procedure for meditation. If I were a newbie to the idea of meditating, knowing myself, I would never end up on a cushion, getting down to the business of meditation, because… It would take me 3 hours to get through all the set up steps, I’d never find a place totally free of distraction to pull this off, and between starting the process and getting to the actual meditation, I’d have to tend to something else for my family. In a nutshell, that part of the book, is a little overblown and over-complicated in my opinion (I’ve read and am reading, much better books on meditation and mindfulness where this area is concerned – reviews to come if they aren’t already done). On the other hand, if you’re debating whether to begin a meditation practice, or whether meditation is right for you, this isn’t a bad book to start with, and the price makes it accessible to everyone (as of this writing, it is still free for both Kindle and audio versions). Are you looking for a common sense approach to feeling healthier or reducing stress in your life? Then biohacking is for you. Too many of us in North America today are battling some form of ill-health. Whether you are struggling with anxiety or your weight, you have probably tried it all—the latest fads and self-improvement books. But you probably have not tried “biohacking”. #3 how meditation is one of the best forms of biohacking you can do for yourself. I’d heard of Bio Hacking before buying this book, but hadn’t really done much to understand what it was, or how it might be helpful. I could guess at it based on context (all the other “life hacks” out there), but some things get under my skin and pester me until I do something with them. So, I sat down with this brief book (it’s less than 100 pages) to learn a bit about biohacking. Good stuff, really. The author lays out a clear, concise map of what biohacking is, why it’s useful and how to include it in your life. If you want to understand what changes you need to make and why those changes are significant, this is a great place to start – not terribly detailed or technical, a quick, light read with a powerful punch.